Devastated by drought, famine and conflict in recent years, Somalia offers an arid, hardscrabble existence in which much of the populace subsists on just $1 per day. It has one of the lowest primary-school enrollment rates in Africa, and education is available to less than 20 percent of the country’s children. Only one-third of the students are girls. But “with basic reading skills, a child has the opportunity to be lifted out of poverty,” says Hodan Guled, founder of the nonprofit Somali and American Fund for Education (SAFE). My family’s foundation subsequently agreed to sponsor four classrooms at two village schools. 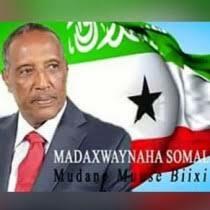 Concerned about security, we chose to build in Somaliland, a de facto state recognized as an autonomous region of Somalia that has been relatively untouched by the violence that has plagued the rest of the Horn of Africa nation. With its population of 3.5 million people, Somaliland has proven that it can govern justly and respect human rights and the rule of law. I planned last month to visit Somaliland’s capital, Hargeisa, but a British government alert for its citizens to leave Somalia gave me pause. Another communique said that suicide bombings were anticipated in Mogadishu, Somalia’s capital. A State Department official also cautioned me against traveling there. But Mrs. Guled, through her local SAFE representatives and two brothers in Hargeisa, assured me the region was safe and secure for my intended visit. On March 24, Mrs. Guled, her husband David Fugate, and I flew to Berbera, where we were met by her brother, Hussein, a security guard and our driver. I was a little nervous during the two-hour drive to Hargeisa through a vast desert terrain on a barely passable two-lane road, parts of which were washed out by recent rains. We stopped at several police checkpoints. Early the next morning, we met with Mohamoud Abdi, SAFE’s Somaliland representative, who had lived in Seattle before returning to Africa. Traveling through Hargeisa, I found it to be safe and quite charming with the hustle and bustle of street vendors and shops intermingled with endless people and vehicle traffic. Soon we left the asphalt roadway and traversed rain-soaked, rutty trails for 20 miles until we reached the town of Alleybaday, where the four classrooms at Harcadaad Primary School are located. Just five years ago, classes had been held there under a tree. There were 78 boys and 42 girls in grades 1 through 4. Students were divided into morning and afternoon sessions with four teachers. Girls were given a can of cooking oil as an incentive to attend school. The next day, we traveled 44 miles to Faraweyne, a village with 340 families, where the two classrooms at the Maraaga Primary School are located. The 50 boys and 30 girls doubled up in split sessions with two teachers. I was pleased to learn that the government, business leaders and returning refugees have funded teacher salaries. In outlying villages, many families live as nomads, raising their animals by regularly moving to new areas for water and vegetation. There was a need for boarding facilities so the children could stay behind and attend classes. About 44 percent of children in Somaliland receive an education; in Somalia, fewer than 25 percent receive schooling. Somaliland Education Minister Zamzam Abdi Adan noted that two universities and numerous primary and secondary schools have been built there. We also visited the Abaarso School of Science and Technology, about 18 miles from Hargeisa. An American named Jonathan Starr founded this premier school, which helps prepare students for universities in the United States and elsewhere. Mr. Starr, who became wealthy by managing the Flagg Street Capital hedge fund in Cambridge, Mass., told me that he burned himself out from working day and night, had endured some disappointing years and decided to liquidate the fund. In 2008, he took a trip to Somaliland and returned the following year to build the high school. He said he needed a new challenge, comparing his motivation to that of Peace Corps volunteers a desire to help people improve their lives. The impoverished students have a limited ability to pay for an education, so Mr. Starr asks them to contribute only what they can afford. Having spent a sizable amount of his net worth, he now depends on outside funding to cover the shortfall of the school’s operation. In 2010 SAFE, helped build a dormitory for girls. Now 38, Mr. Starr and 15 teachers mostly from the United States and Canada focus on teaching math and science to 80 boys and 40 girls in the fourth year of the school’s operation. Standardized tests soon will be held in Ethiopia, a 20-hour bus ride for the students, to prove how good these students really are. Mr. Starr introduced us to Mubarik Mohamoud, who grew up in a refugee camp and recently received a letter of acceptance to the Massachusetts Institute of Technology on a full scholarship. We also met Nadira, who was accepted to Oberlin College in Ohio on a full scholarship. Four other Abaarso students from this first graduating class also have been admitted to U.S. universities. If this generation of Somali children is to find hope for the future, there will need to be an emphasis placed on basic education. Sustainable economic development will need to follow if Somalia wants to participate in the global economy. Without education, the achievements needed for success may not happen. John Price is a former U.S. ambassador to Comoros, Mauritius and the Seychelles islands. He currently serves as a resident scholar at the University of Utah’s Hinckley Institute of Politics. He is the author of “When the White House Calls,” and regularly writes commentaries on Africa and the Arabian Peninsula.